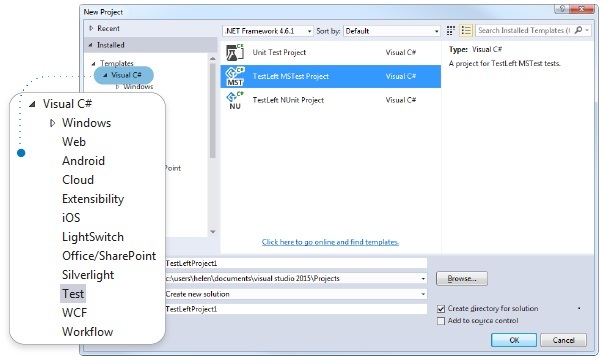 TestLeft is a UI automation testing tool that seamlessly embeds into Visual Studio and the DevOps ecosystem. It accelerates continuous testing for web and desktop apps, enabling you to find bugs early. Test early, test often, find bugs when they’re cheaper, and enable continuous delivery with TestLeft! 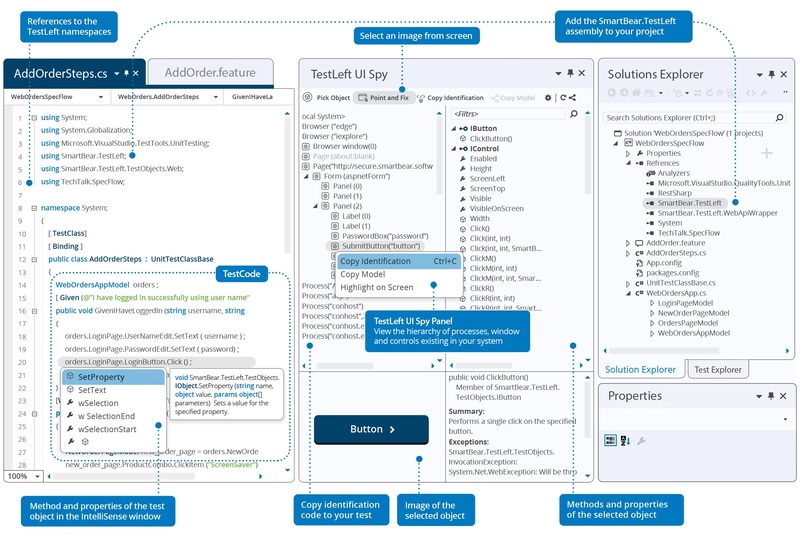 A built-in UI object spy within Visual Studio provides access to over 500 web and desktop controls, ensuring simplified test creation, reduced test maintenance and increased productivity. Simply drag and drop the spy over objects on the screen and get access to built-in properties, methods and classes. You can generate an application model for an entire web page or desktop application in just two clicks. You can integrate with open source BDD tools such as Cucumber, SpecFlow or JBehave and enables you to improve collaboration between business analysts, developers and testers.